If you haven't already seen it, I made a random front page generator for Reddit using MetaReddit's cloud. The full source code is available on GitHub. I wanted to give readers a chance to understand it and maybe make their own. The generator can be broken down into two parts: the server side, which fetches the data from MetaReddit, and the client side, which creates a url and redirects the user. We start by opening a cURL session with curl_init. Then, we set the URL to Metareddit's cloud. We set the CURLOPT_RETURNTRANSFER parameter to 1, so the contents of the page are returned as a string that we can echo. And finally we close the cURL session with curl_close. The next half of our generator needs to parse the contents of the MetaReddit page, create a URL, and redirect the user. We use the jQuery library. There are plenty of pros and cons to using Google's CDN; I generally do. There are two JS functions for the generator: init and run. init will populate a hidden element with our local list of subreddits - this is actually just the entire HTML source code of MetaReddit's cloud. We can get individual subreddit names using the .subreddit class. init populates #invisibleHolder with the output of fetch.php. This isn't instantaneous, so every 3 seconds we check whether the output has been received. Once it is, run is called. The output returns the links with your domain at the beginning. So we get all of the a tags with the class .subreddit and return the href contents without SERVER_NAME at the beginning - these formatted strings become the elements of the array links. And that's it! fetch.php gets the HTML source code of MetaReddit's cloud. index.html gets the subreddit names from that content and redirects the user to a random link. You can check out the working demo. The same PHP can be used to make a simple proxy. Many sites, however, restrict you from fetching content in this way with their .htaccess file. Please let me know what you think. Any suggestions, questions, or comments are totally welcome! 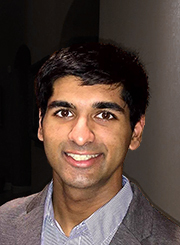 Neel Somani, a student at the University of California, Berkeley, is the founder of Apptic LLC. In addition to computer science, he's interested in philosophy and entrepreneurship. You can follow him on LinkedIn and Twitter.